Welcome to EMDA a Division of Print File Inc. The Leading Manufacturer of Folded and Sealed Plastic Products. For over 25 years, EMDA has specialized in folded, hinged and punched plastic pages for a wide range of photo and document storage applications. We custom manufacture products to client specifications. Contact us to get a quote on your project and learn more about our products. 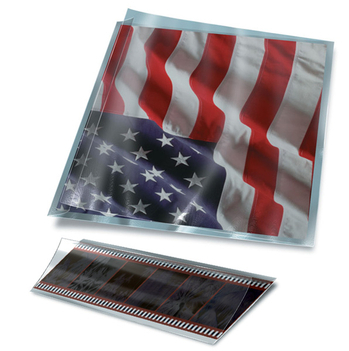 Popularly known by the Dupont brand Mylar, this highly flexible and durable plastic sheet has excellent transparency combined with resistance to many chemical compounds including volatile aromatics and oil bases. This material is, by far the number one choice for critical and long-term archival type storage solutions. An economical alternative to polyester, this plastic has good clarity for a number of archival uses. Both bi-axially oriented and cast sheet are available. An inexpensive, more durable alternative to Acetate, with similar clarity and fabricating flexibility. This material is effective in many products that do not require strict archival standards be met. 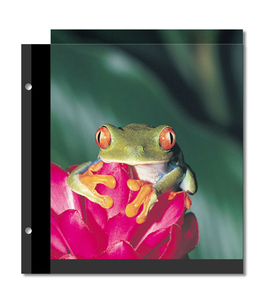 Non-yellowing, tear resistant and with excellent transparency, our rigid PVC carries no surface imperfections and does not produce trans-migration from photographic or printed inserts. White, black, and ivory. All are acid free.